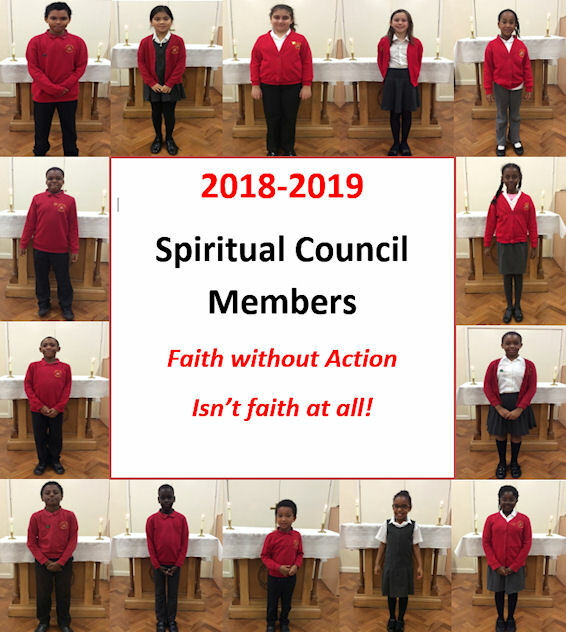 At St. Joseph’s we have a Spiritual Council which is made up of children from all of the different religions that we have in school and so is a multi-faith representation. To be a member of the Spiritual Council is to follow 'the call to serve'. Be living examples of our mission statement. Faith without action isn’t faith at all. This means that it is not enough to simply say that we believe in the teachings of Jesus. We must put his teachings into practice and always be good examples of our faith. We meet regularly and discuss the spiritual life of school and feedback to our classes and house groups about what we have discussed and changes that we have decided to make. We also consult our classmates on their thoughts and feelings regarding spirituality in school. 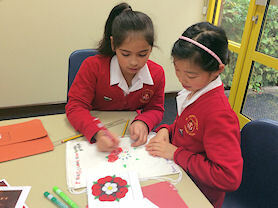 Designing 'class saint' themed prayer bags for each class. 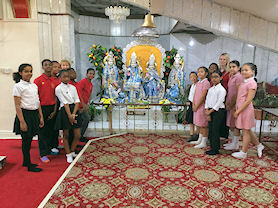 The Spiritual Council on a visit to a Hindu temple.